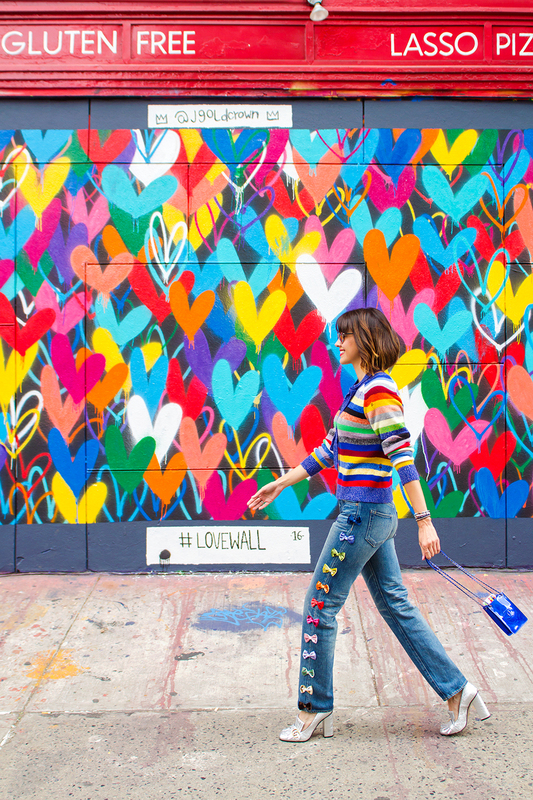 Our wall guides are now moving on past the borders of Houston… That’s right, we wandered all the way to New York City to bring you all the details on the best colorful walls there. Now, clearly, New York City is too big to tackle at once. So, for this trip, since we were staying at the Nomo Soho Hotel (in the Soho neighborhood), we focused our explorations on that general area. Now, if you are a purist when it comes to NYC neighborhoods, you’ll note that our wanderings extend beyond the boundaries of Soho itself. In fact, we wandered from Soho to Nolita and even Chinatown. But rest assured that these areas are still quite close to one another. Without a doubt, we recommend exploring the area on foot. Not only is this a healthy option, but you’ll also find it easier than driving around. Plus, you never know what new street art you might stumble upon! So, please use this guide (the map, the addresses, the photos, and the words) to your advantage! 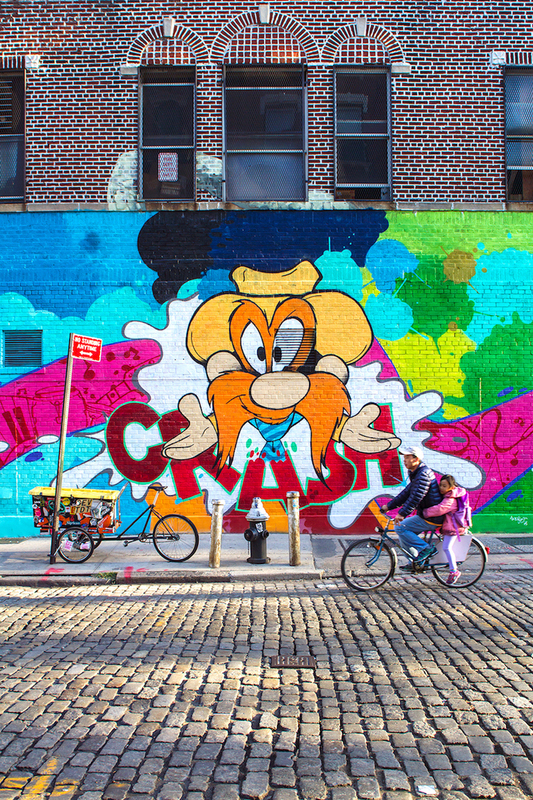 Explore this wonderful, character-filled area of NYC. 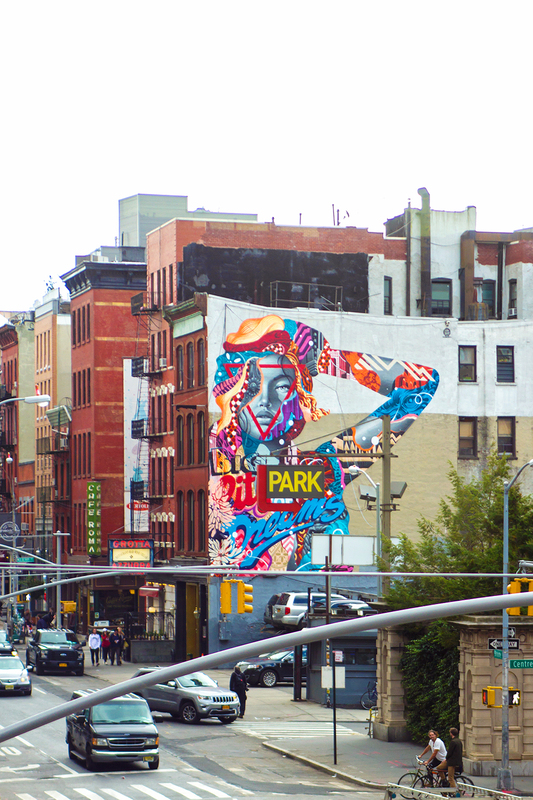 We think you’ll love Soho, Nolita, and Chinatown as much as we do! 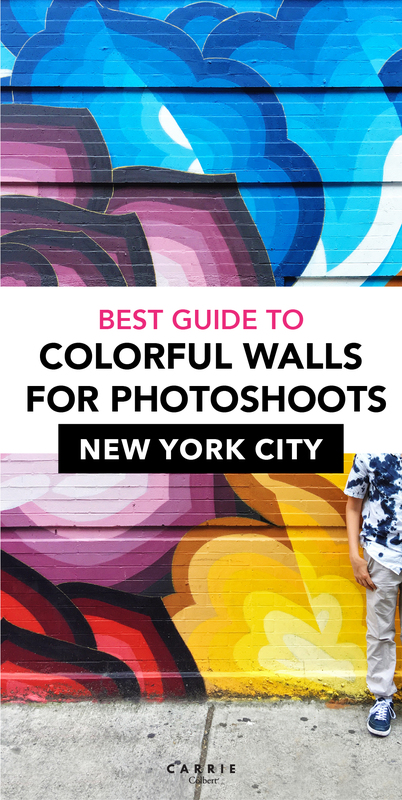 Tips: Don’t just go for the mural. Instead, stay there and explore the Prince and Elizabeth street area! Right in front of mural is Cafe Habana, which is a Nolita mainstay! 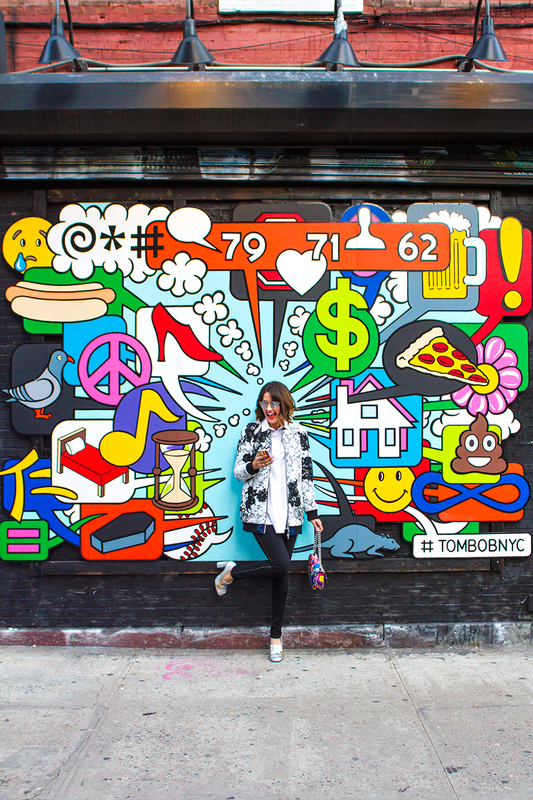 Just a few more steps away from the mural, you’ll find tons of shopping such as Aesop, TOMS, Rag & Bone, and more. 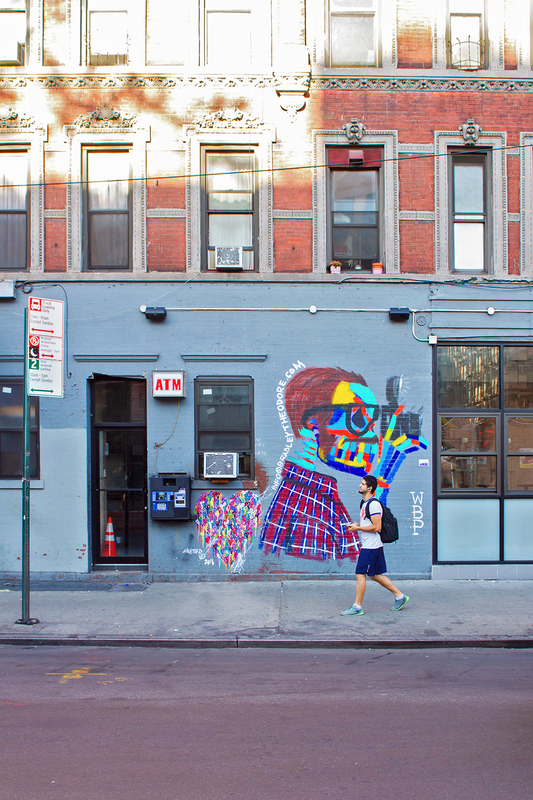 Plus, grab some tacos and aguas frescas at our favorite Tacombi Fonda Nolita! 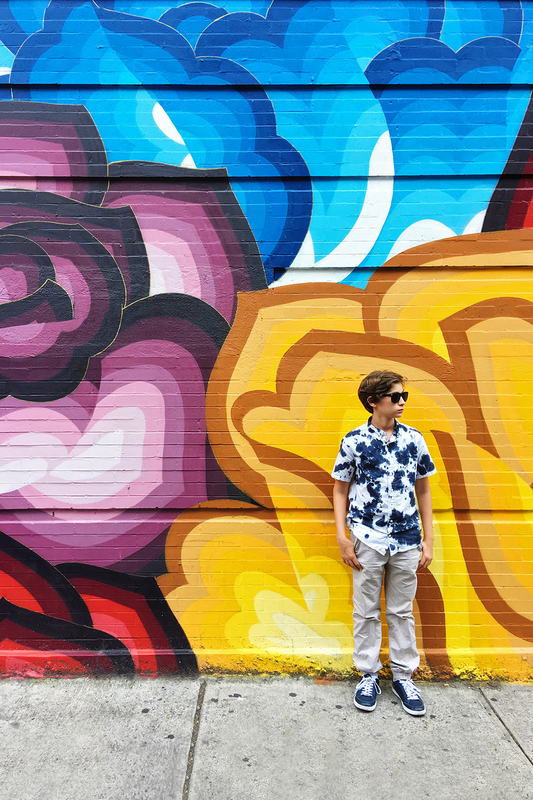 Tips: The cool thing about this particular spot is that mural is ever changing. 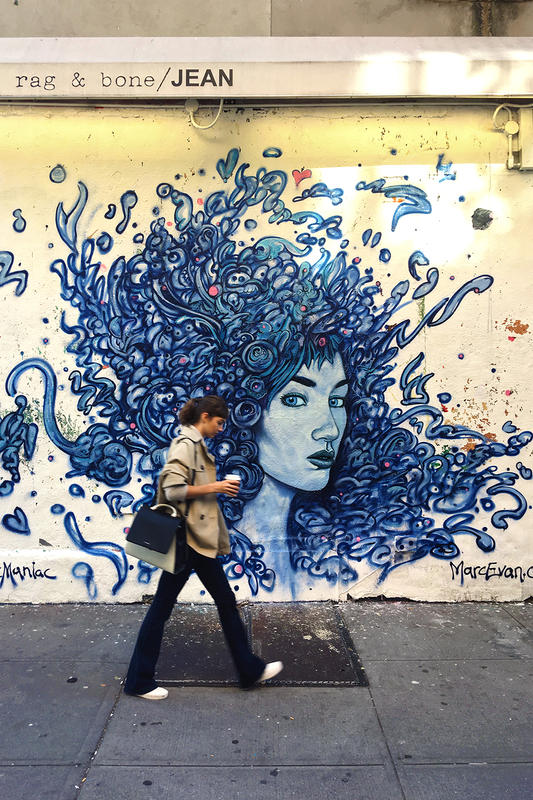 Plus, inside Tictail Market, you can buy prints of the current mural! 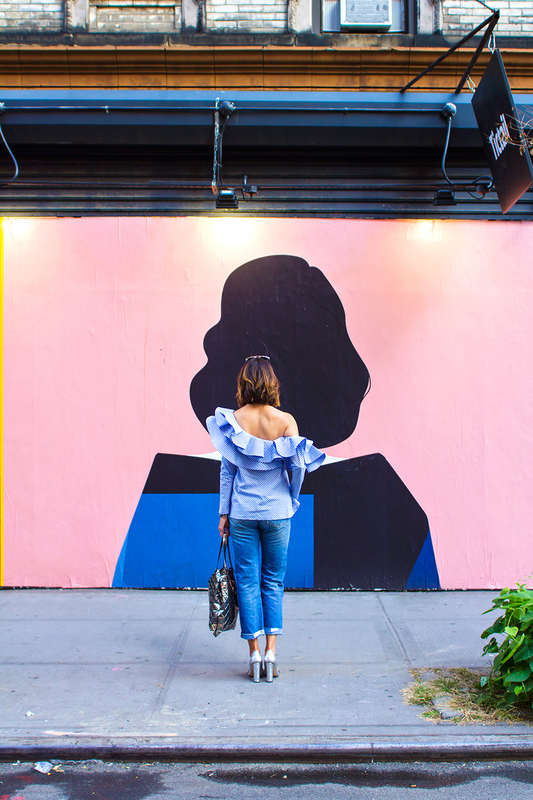 Furthermore, go for the mural, and then browse the unique clothing and accessories at this shop, which focuses on emerging designers from around the world. Additionally, only two blocks away, and not to be missed, is The Fat Radish – one of our favorite spots to eat in Chinatown! Tips: Right on the other side of this mural, you’ll find one of our favorite breakfast/brunch spots: Russ and Daughter’s. Russ and Daughter’s has the best lox and bagels, making it absolutely worth the wait if there’s a queue. We suggest going mural hunting early in the morning and then grabbing breakfast at this great sport. Tips: While you are here, make sure to explore Allen street, on both directions. 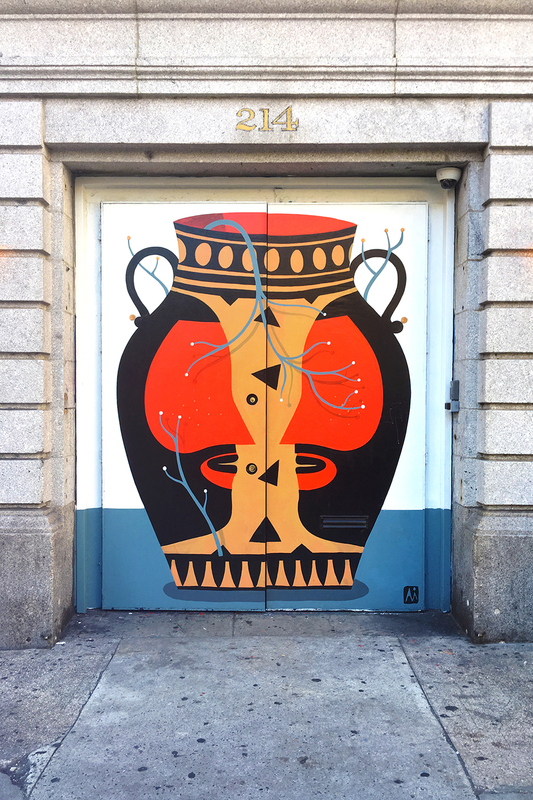 There are many great small-scale murals as part of #thenewallen, an art collective by Baby Brasa. Tips: This wall is on the same street as #thenewallen murals. In fact, the entire area is a great area to explore for many other mini murals. Pro tip: Keep your eyes up for some great, albeit hard to reach, murals on the rooftops. Tips: If you’re in need of a quick, refreshing break from you’re wall wandering adventures, you’re in luck! There’s a Starbucks on the corner here. Plus, just steps away, you’ll find 10 Below Ice Cream, a super cute ice cream shop. 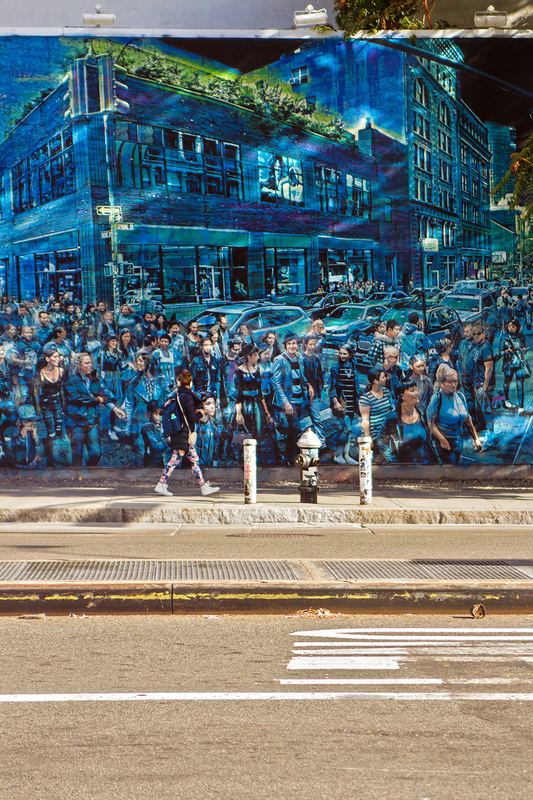 And again, don’t miss all the great street art along that stretch of Allen Street. Tips: Come here before 11 am before Baby Brasa opens, if you want to take a glimps of this awesome gate mural. Then, come after 11 am to sample Chef Franco Noriega’s famous Peruvian chicken! 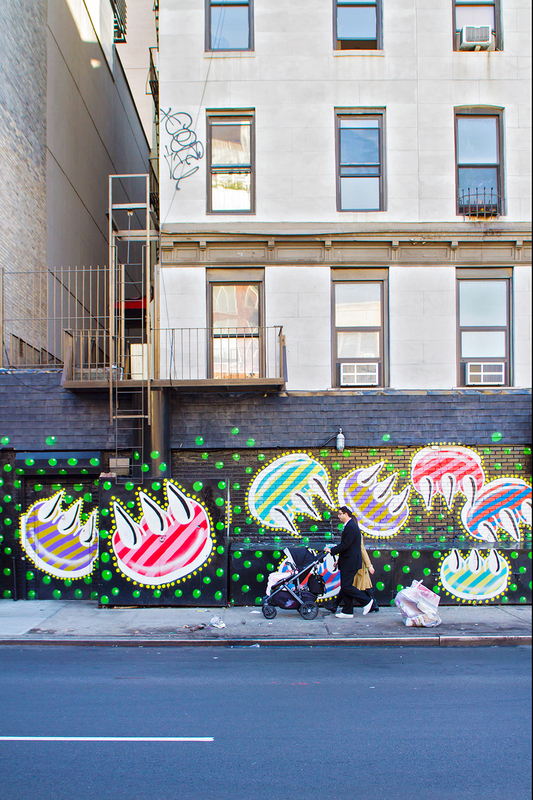 Also, Chef Noriega and Milan Kelez began The New Allen (#thenewallen) art collective, which has transformed Allen Street into a NYC Street art gallery. 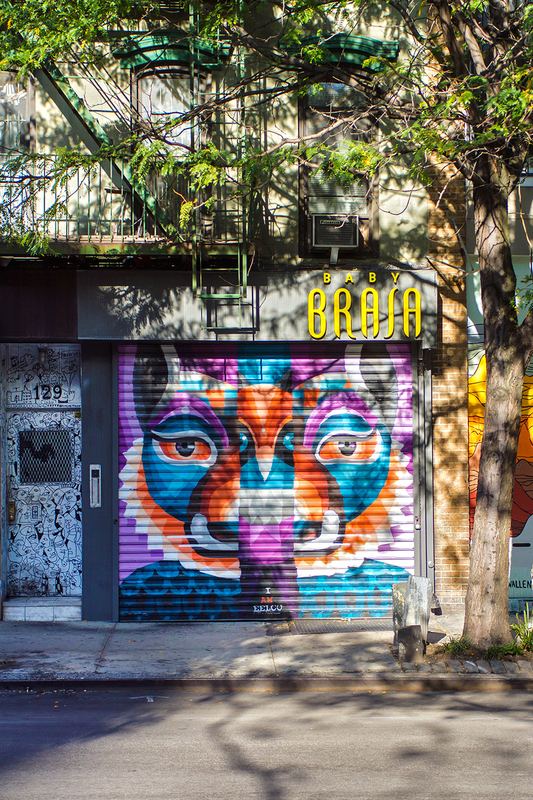 So make sure to explore the area around Baby Brasa for great street art! Bonus: on the side of this mural these are two mini murals on the left. 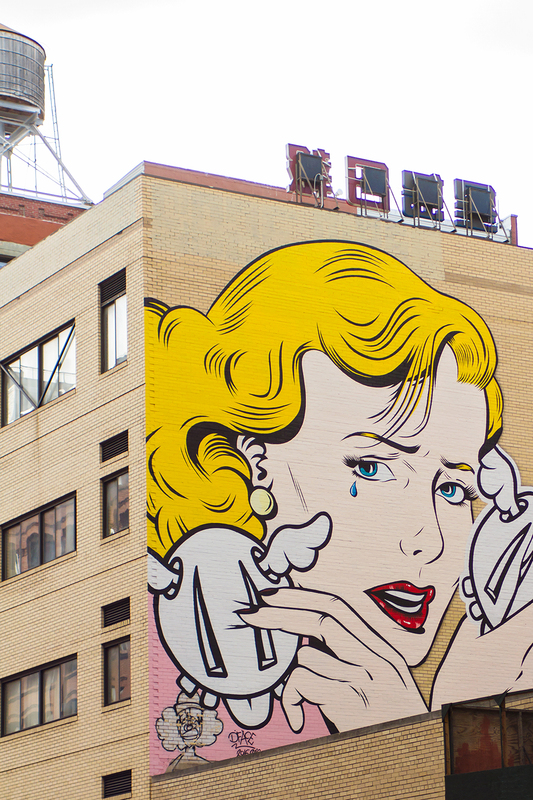 Tips: Go for the mural, then stay at Saxon + Parole for a great meal at this American eatery. 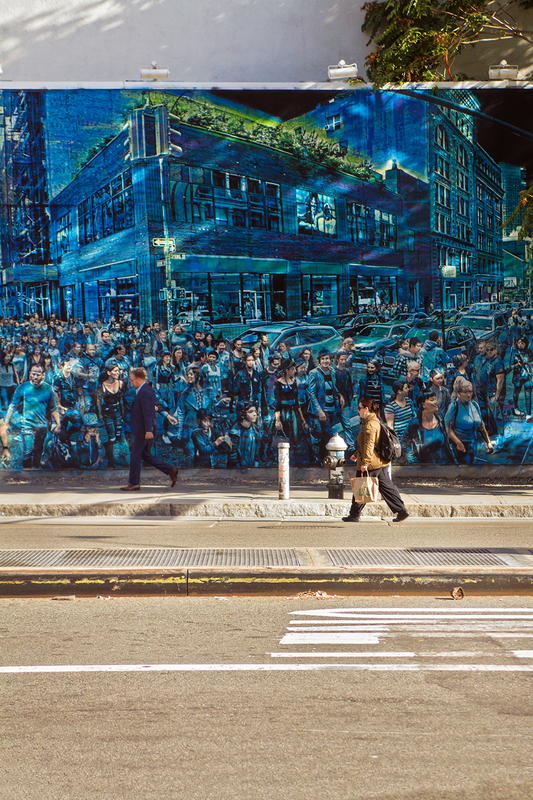 Then, walk a block south to see the famous Bowery Mural (see #9 below)! 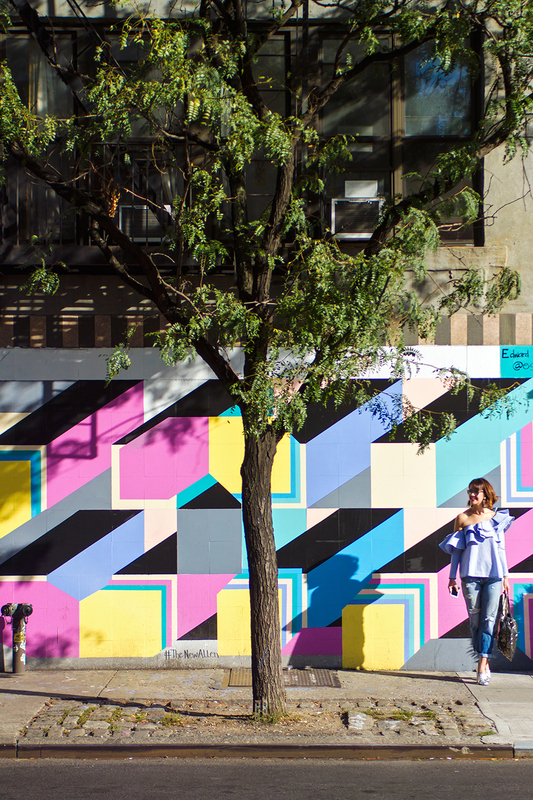 Tips: The Bowery mural, owned and operated by Tony Goldman, changes seasonally and looks different at different times of the day as the light shines on it differently. You might or might not catch this masterpiece by artist Logan Hicks, but this is a mural never to be missed, as it has a long history for attracting great street artists. 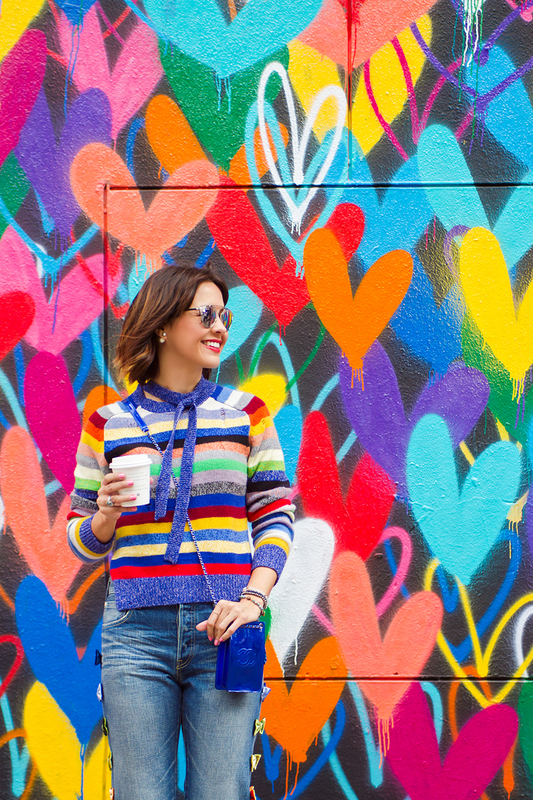 After viewing the huge mural, go across the street for a little shopping at a favorite, Rag and Bone, and then refresh with some agua fresca and tacos from Tacombi Nolita. Tips: Mural is on a small curved street in Chinatown. The good news is that you probably won’t ever find a car parked in front of it, given the narrowness of street. While you are there, step into Nom Wah Tea Parlor for a great tea and a bite. This restaurant has been serving dim sum since 1920, making it the oldest in Chinatown and perhaps even all of NYC. 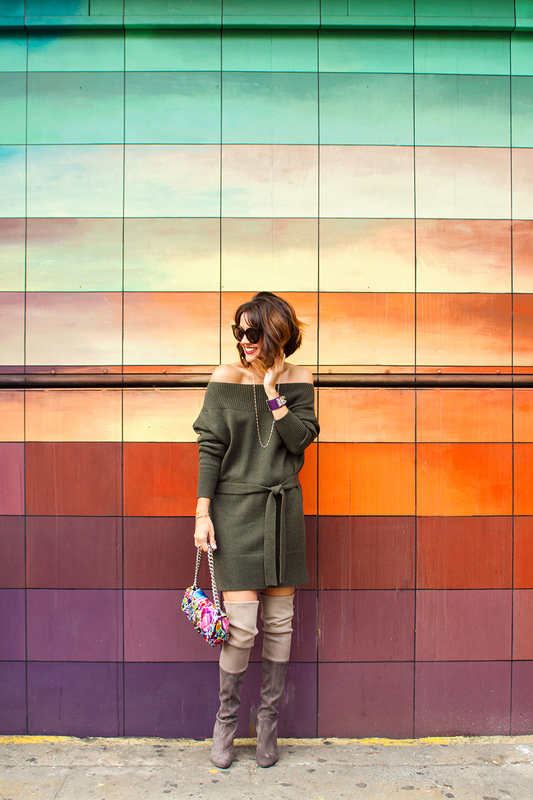 You can find more photos of this wall here in this recent fashion article. Tips: While this mural is located on a top side of a roof, and you won’t be able to make portraits in front of it, this masterpiece is not to be missed! 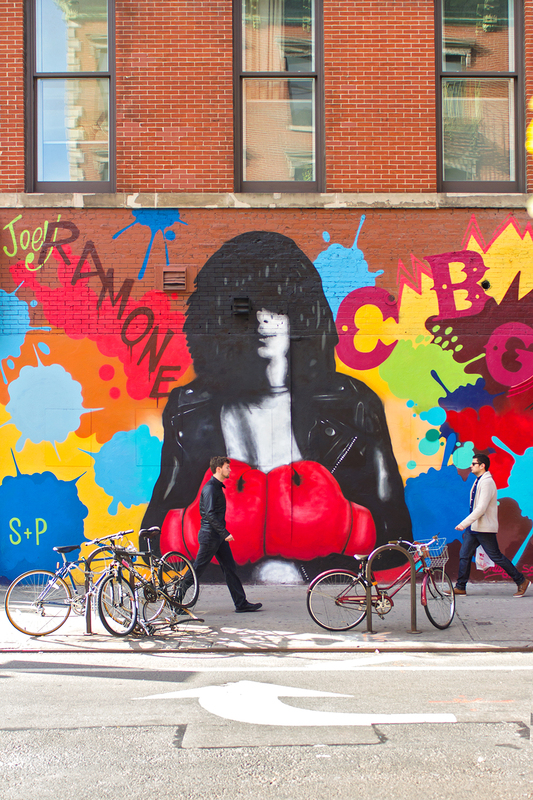 In fact, we consider it one of the very best murals in Soho! And while you are there, cross Broome street for great coffee at one of our fave NYC shops, Happy Bones! 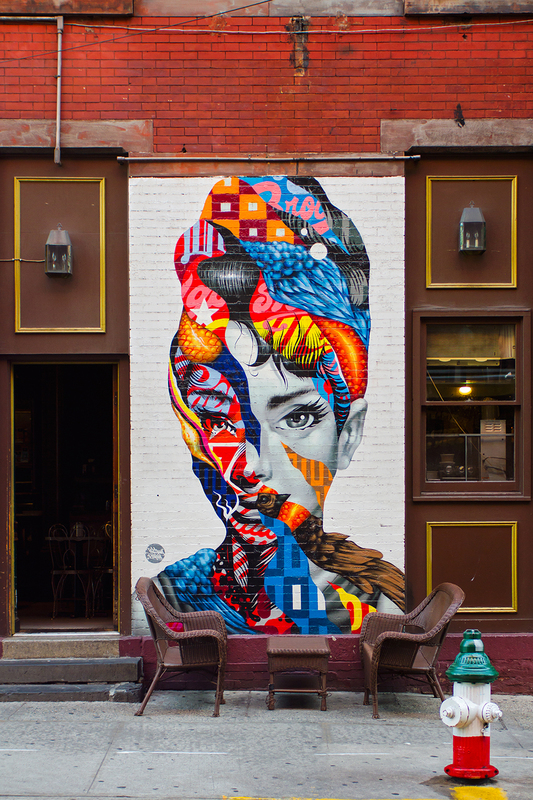 Tips: If you’re an Audrey Hepburn fan like we are, you simply can’t miss this one! 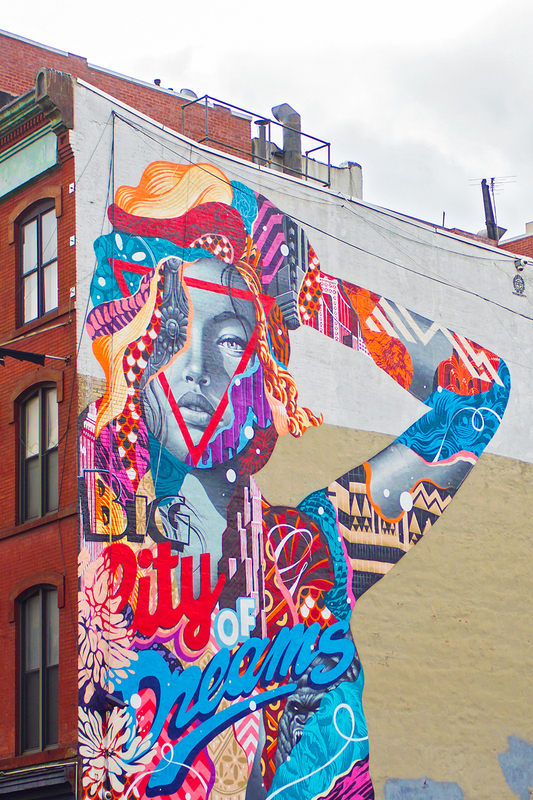 Just a few steps from Tristan Eaton’s Gigi Hadid mural (#11 listed above), this is one of our favorite murals in the area. 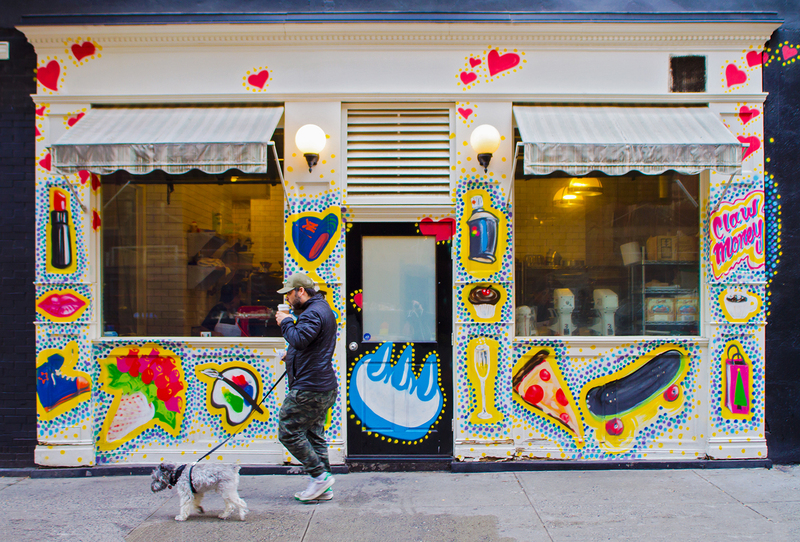 The mural is on the side of Cafe Roma, where you can stop for a pastry, gelato, and other Italian treats. Tips: We are enamored with all art that James Goldcrown creates! 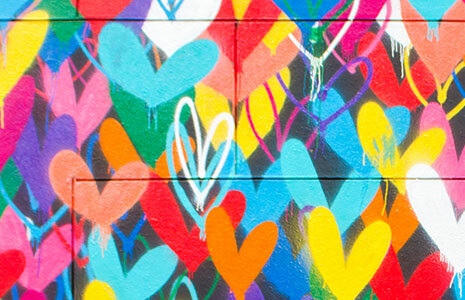 Dare we say that we love his love wall? This wall of hearts is on the side of L’asso Pizza. If you’re still hungry after pizza, check out the best rice pudding ever at Rice to Riches, a mere two blocks away. 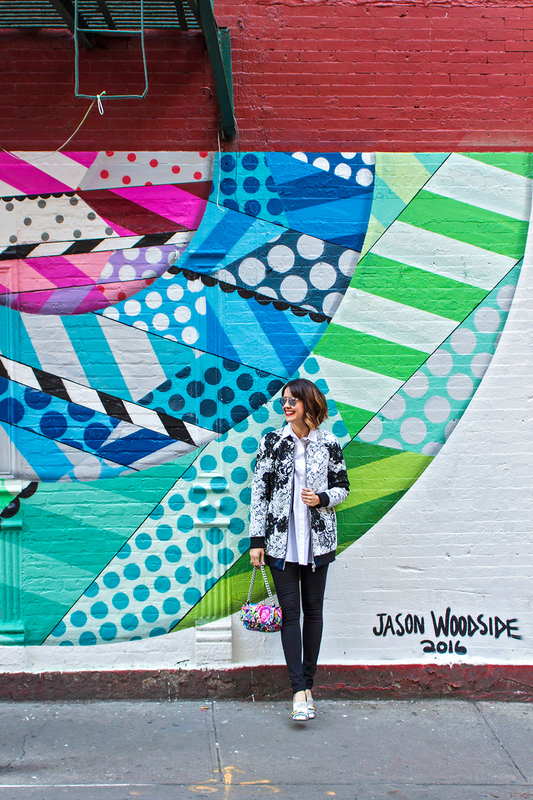 See more photos of this mural in this fashion article. 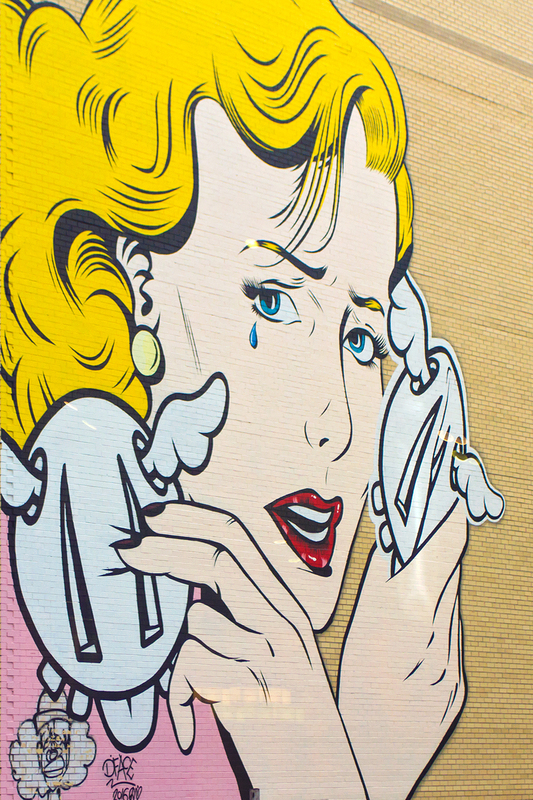 Tips: Look up, as this pop art mural is hard to spot from the street. Thats because it’s located on a hard-to-reach rooftop.The mural is so great, though, that we suggest this insider tip: Stop by the beautiful, luxurious home goods showroom of Pirch. 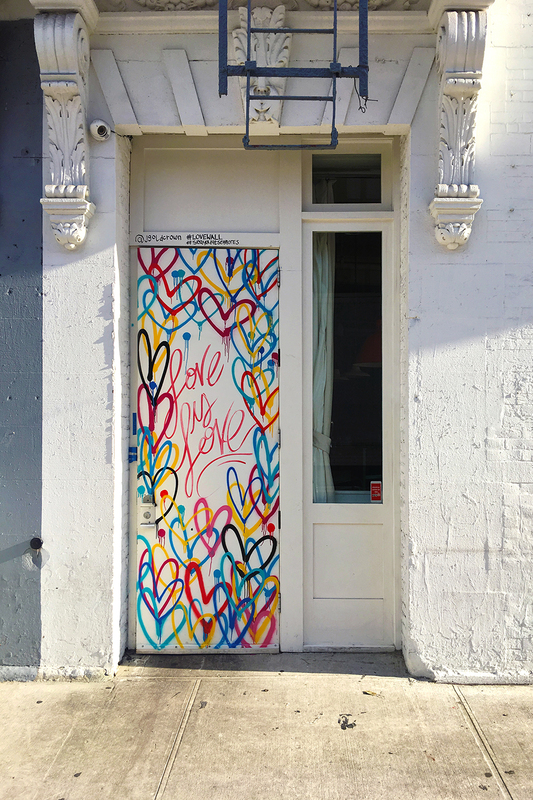 Browse their amazing selection of kitchen and bath goods, grab a coffee at their on-site coffee bar, and then walk up one floor to catch a better view of this fabulous mural! In fact, that’s where this photo was taken. Tips: To admire and photograph this most awesome gate mural, come in the mornings for the best chance of having the gate down. And if you are already in the area, walk to Cafe Henrie for great coffee, a healthy meal, and a big dose of pink decor! Tips: This is such a fun wall! Make sure to walk around the corner and check out the mural in the other side of the building. 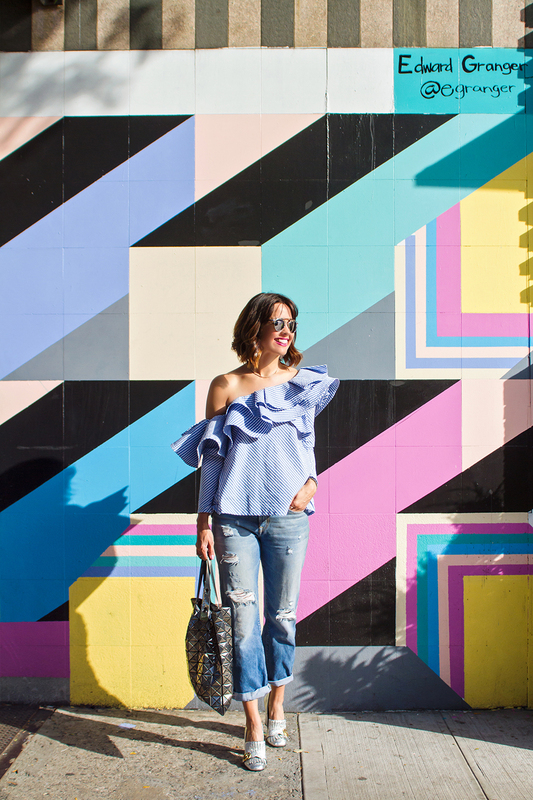 More colorful wall wanderings to enjoy! 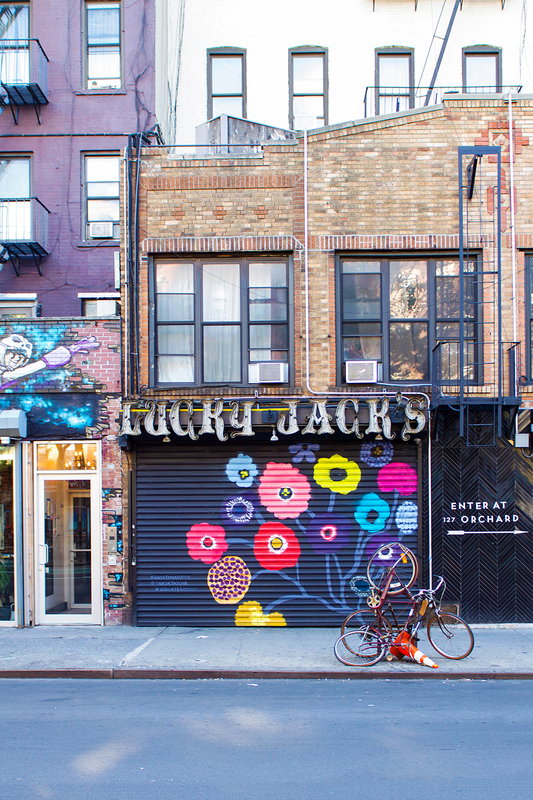 Only two blocks away, you’ll find the awesome ombre gate mural mentioned above in #15. Tips: The wall was painted for, and is hosted at, the Little Cupcake Bakeshop. 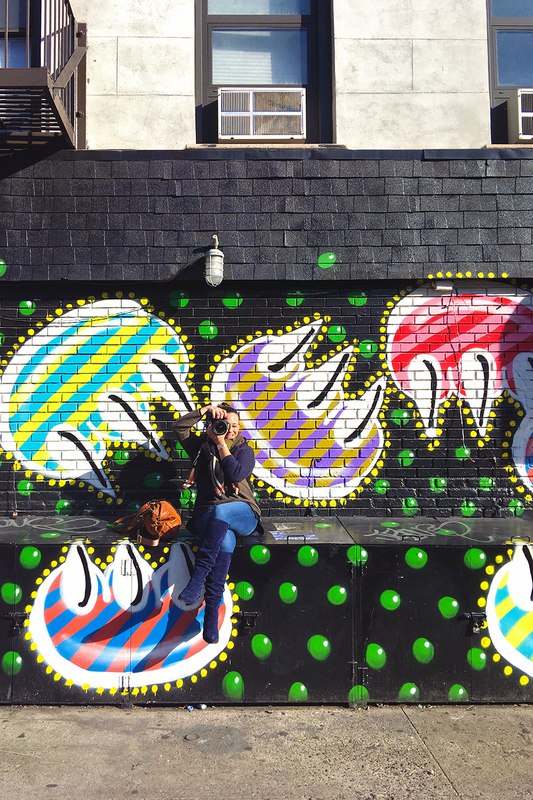 So why not go get a sweet treat and a drink there after you snap a picture of this fun mural? 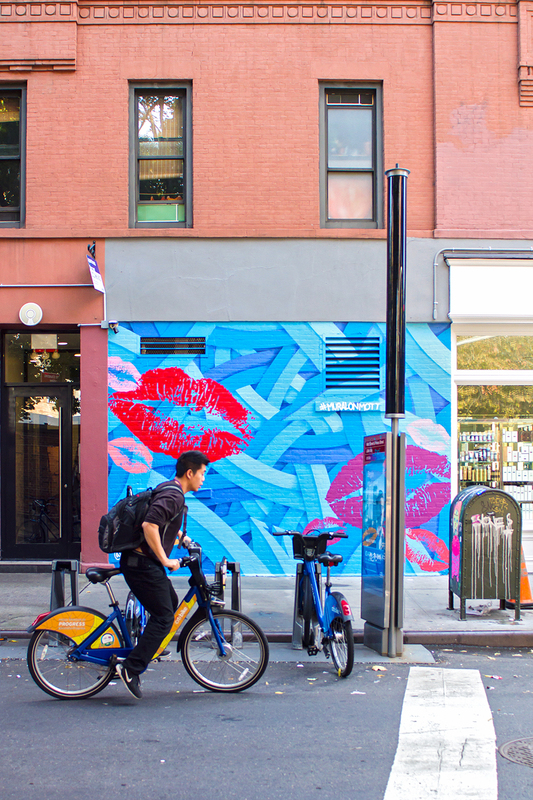 Tips: Make sure to explore Mott St. There are a couple more murals there, including one two doors away at the Little Cupcake Bakery. 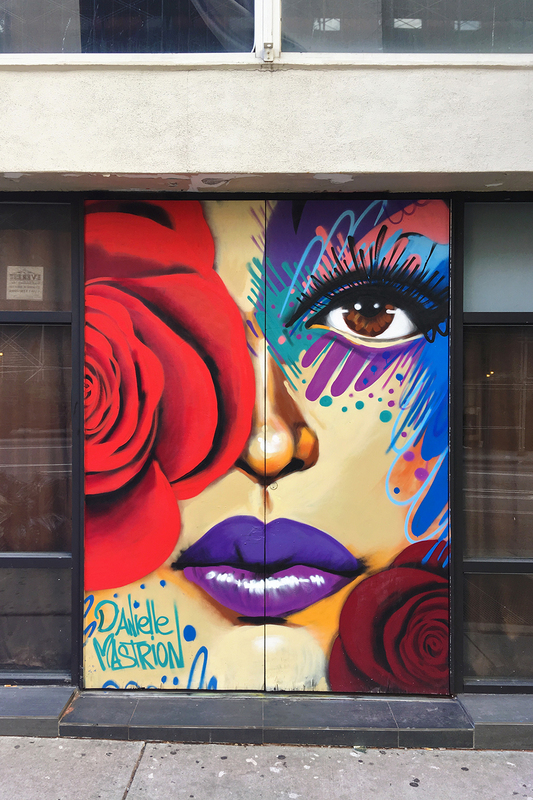 Right next door is Diptyque which sells lovely candles and perfumes, and around the corner, parallel to the mural, and on Elizabeth Street, is a great cafe for lunch time, Cafe Habana, with yummy Cuban-Mexican eats! 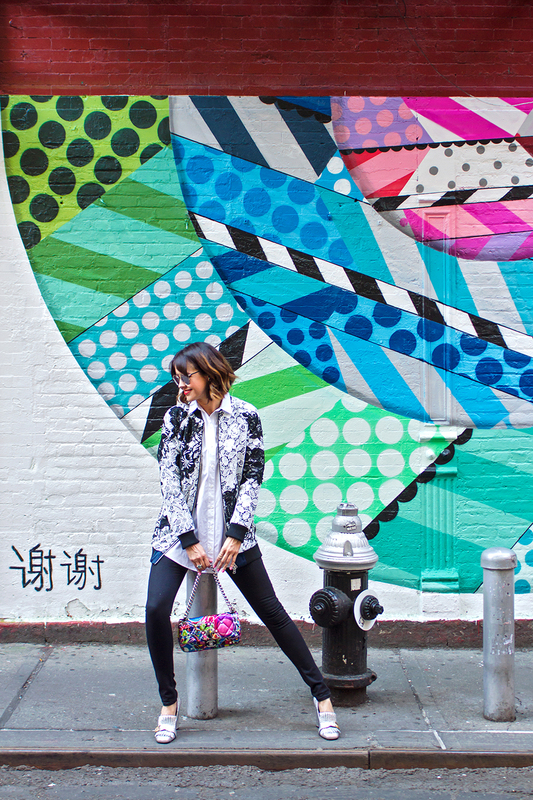 For more images of this mural, see this New York Fashion Week (NYFW) street style article. Tips: We adore this floral moral! It’s very near the Kisses mural mentioned in #18. If you are already here, then why not walk a block towards Spring St. to try the best rice oudding ever at Rice to Riches? And when we say it is the best, we mean it! 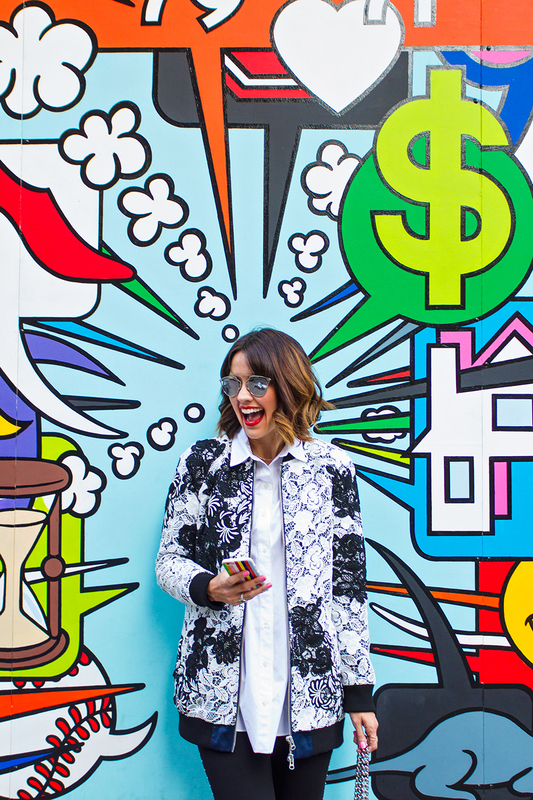 There’s a little collages set of mini murals and street art right outsode Riche to Riches! 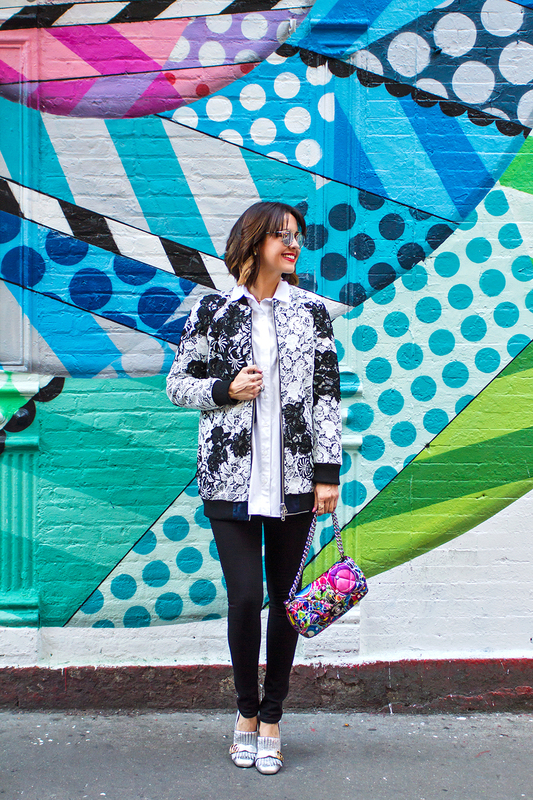 You can see a few more photos of this mural in this NYFW street style article. 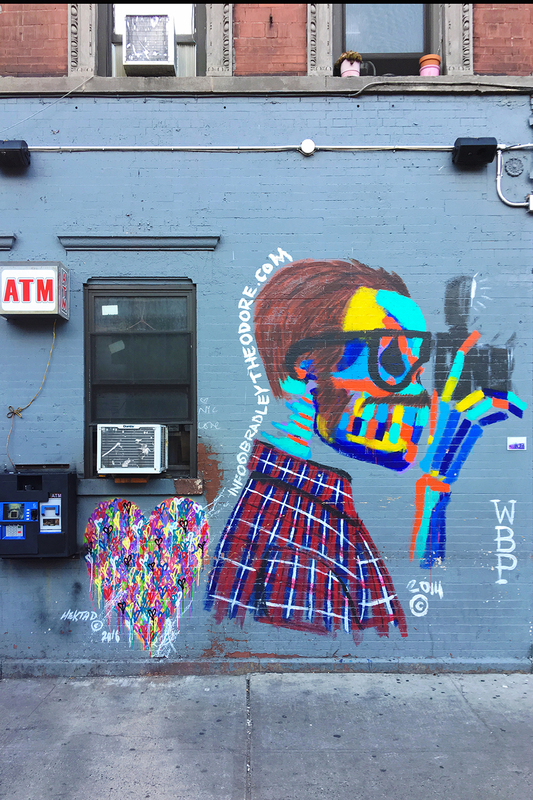 Tips: While you’re here, walk along Allen street, and be on the lookout for many small sized murals, part of #thenewallen art collective! Also, walk five minutes down the street to Orchard Street to find one of our favorite restaurants, The Fat Radish. We do recommend making a reservation. 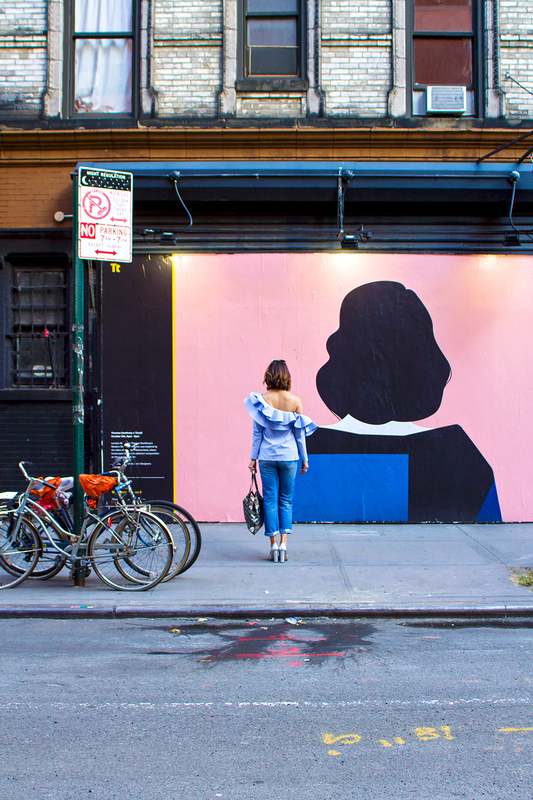 Tips: This wall on the side of the Rag & Bone store is ever changing. In fact, it changes as often as every month. But whatever the current offering, it is always worth checking out! Plus, you can stop by and shop in the store while you’re there. 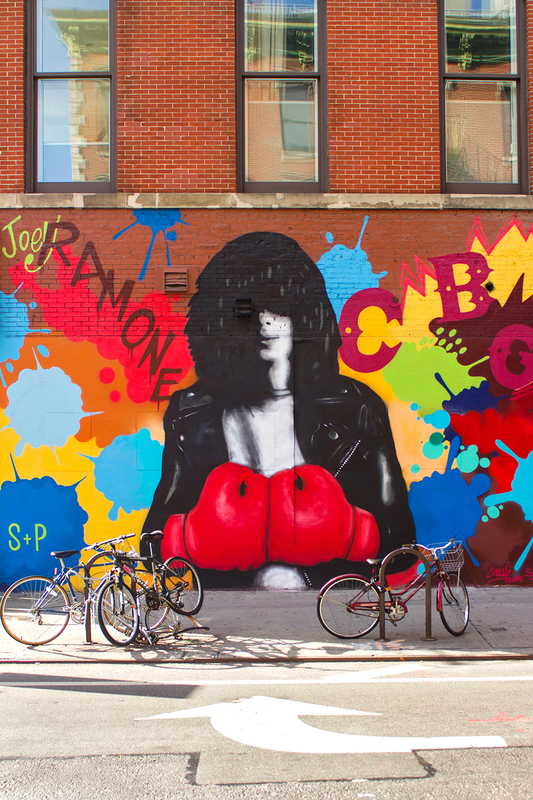 Tips: We love all work by James Goldcrown, and this mini mural outside of Seamore’s restaurant is no exception! 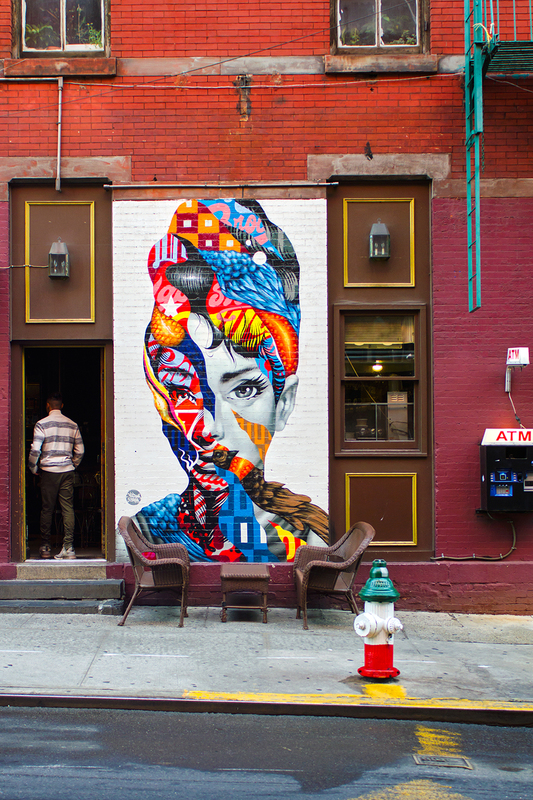 Several murals included in our guide are in the immediate area, including the epic Audrey Hepburn one. We highly recommend a seafood meal at Seamore’s as well! Great food and lovely interiors. In fact, a pillar / column within the restaurant is also covered with Goldcrown’s art! Tips: This mural changes every so often, but always worth a visit! So much to explore in this area! Two of our favorite restaurants are only a few steps away! 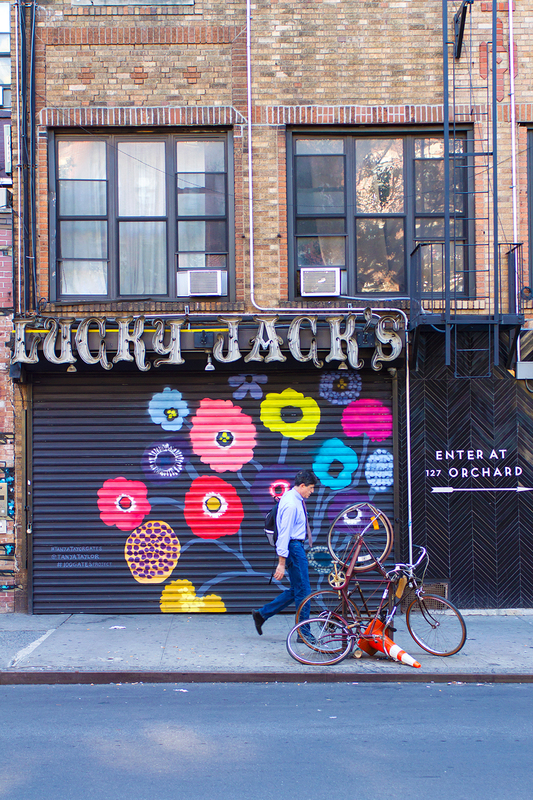 In fact, we’d go so far as to say you can’t visit this area without a stop at Jack’s Wife Freda. Additionally, if you have a late night craving, grab some true Mexican tacos at La Esquina. 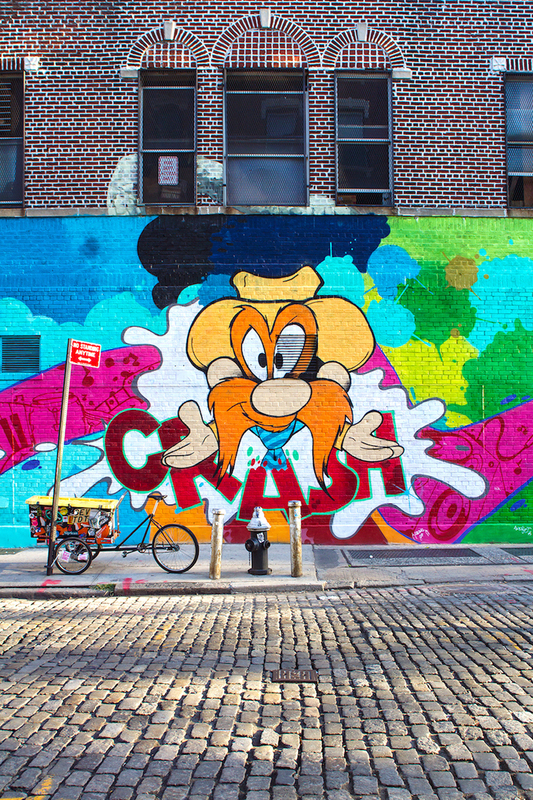 Tips: Keep your eyes open for a couple more fun murals just across the street from this one! 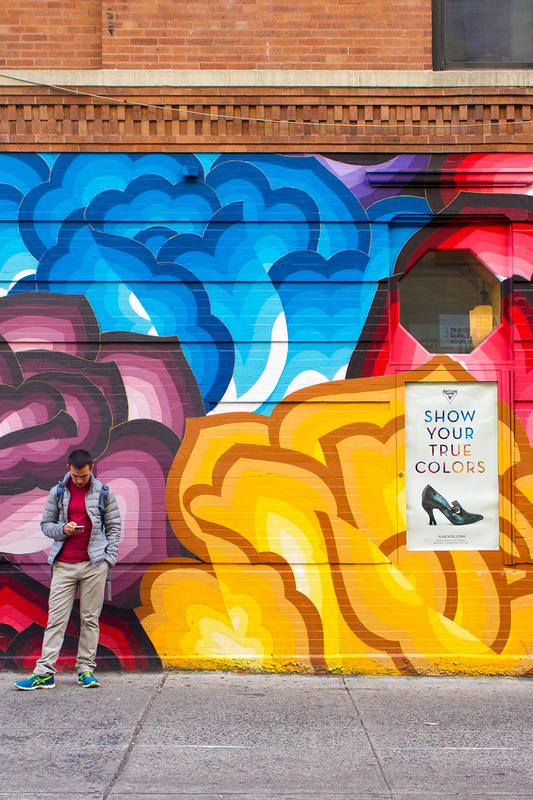 Make sure to allow some time to explore by foot, as the area is constantly adding new street art. Plus there are many great shops, cafe, and restaurants to visit. 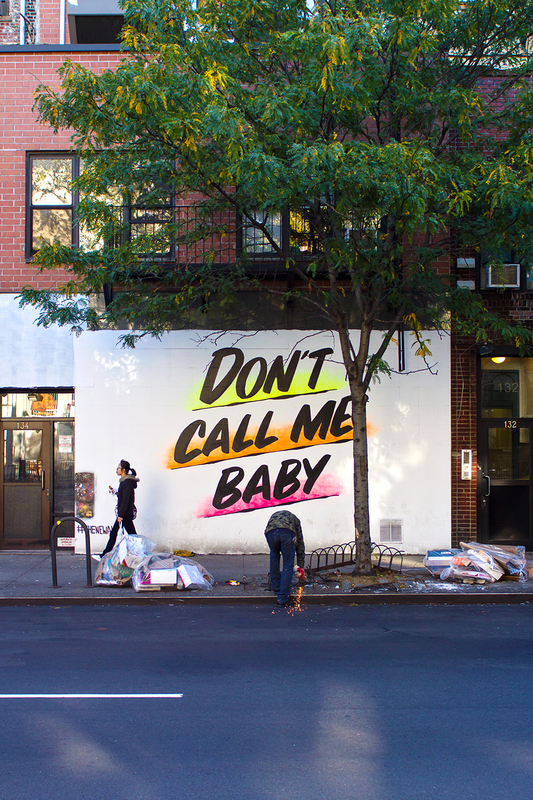 Finally, we must mention that street art is, by nature, ever changing. While we’ve done our best to present to you the details as they stand today (November 2016), just understand that the art can change over time. One last thing: do you have any favorite restaurants or spots to visit in this area of NYC? Or do you know of any other murals in the area? We, of course, would love to hear! Do share. Truly, we sincerely hope you find this guide helpful! Thanks so much for saying so, Marianna! Yes, I always hate to see some go, but it’s always exciting to see new ones added. Looking forward to another trip to NYC sometime soon to update the list! Thank you so much for sharing! I thoroughly enjoyed your article. 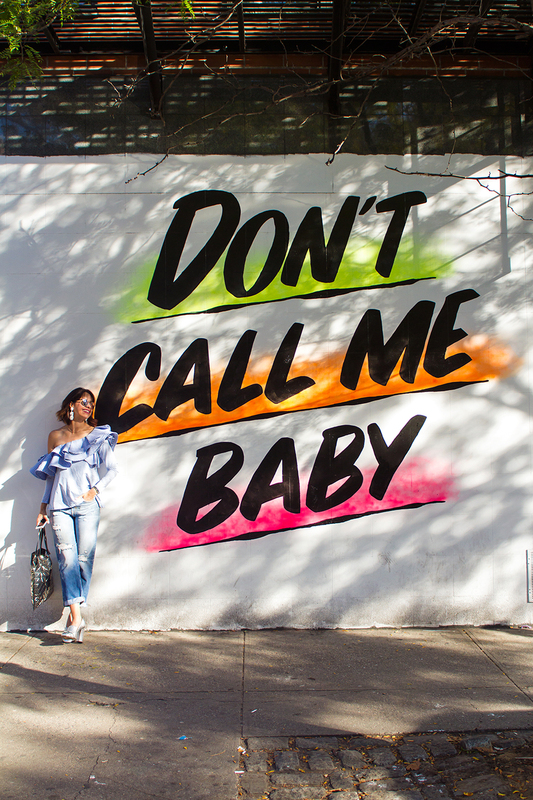 Do you know where the other Baron Von Fancy murals are/were??? Desperately trying to find a full building cat mural by Japanese artist Takashi Kuge. It’s in Soho by a busy street (E or W Houston?). Hope you can give me the address!Thanks! Thank you so very much for sharing this Carrie. Sometimes when scouting for the best location, it’s great for everyone to lead a hand as together we create the beautiful content we all love. Maybe we can help create a map for this one day with a shot of you at each of the murals lol. This is awesome, planning our first trip to NY with my wife and can’t wait to hunt for some of these!